Last month I traveled from Paris to Barjac, a small town in the region of Languedoc-Roussillon northwest of Avignon, to attend the inauguration of a permanent installation by German artist Wolfgang Laib. 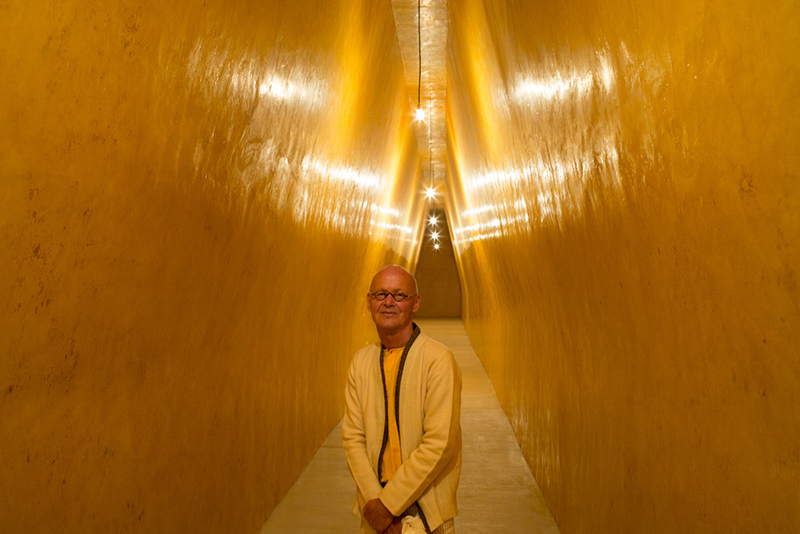 Laib had been working for the last four years on an enormous beeswax room, not unlike the one he created at The Phillips Collection last year, but on a much larger scale—an underground chamber, about 40 meters (over 130 feet) long with many more lightbulbs but equally aromatic and meditative. 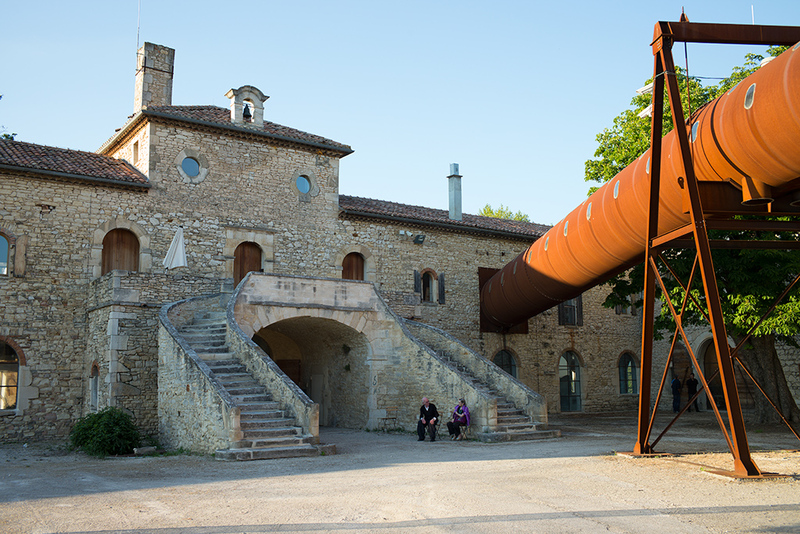 Laib’s newest wax room, entitled From the Known to the Unknown—To Where Is Your Oracle Leading You (2014), is installed at La Ribaute, on the grounds of a former silk factory that is now the studio of the German artist Anselm Kiefer. Kiefer began developing this complex in the mid-1990s. It spreads over 86 acres and includes three 19th-century stone buildings surrounded by fields and woods. Two of the residential buildings are now connected by a industrial-sized enclosed footbridge that Kiefer built for his two young children when he still lived on the grounds (he has since moved with his family to Paris). Kiefer’s Gesamtkunstwerk is now comprised of more than 50 separate buildings out of glass, steel, or concrete as well as a series of underground tunnels—all housing his mostly monumental paintings and sculptures. 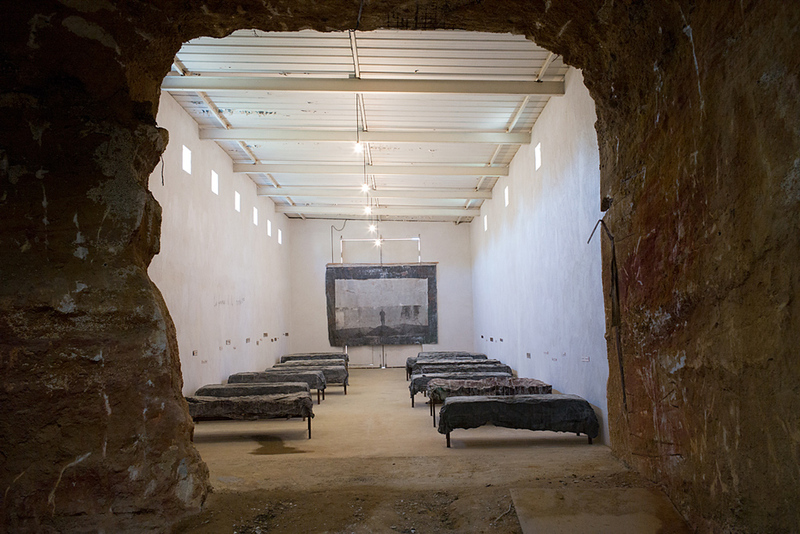 Laib’s wax room at La Ribaute is the first of a series of works by other artists Kiefer is planning to commission as he is starting to transform La Ribaute into a public exhibition site. The inauguration, which was attended by 300 guests including artists, collectors, and curators, took place on May 31 with a concert of music by Edgar Varese and Heinz Holliger, performed by the French Classical flutist Sophie Cherrier, a member of the renown Ensemble International, and an opulent dinner in Kiefer’s residential quarters. One of the most impressive installations by Kiefer is an underground chamber that contains a small version of his work Les Femmes de la révolution (1992), which is comprised of lead beds, one photograph on lead, and wall texts. The work is inspired by The Women of the French Revolution, a chronicle by 19th-century historian Jules Michelet. A larger version of this installation is currently on view as part of Kiefer’s semi-permanent exhibition at Mass Moca in North Adams, Massachusetts.